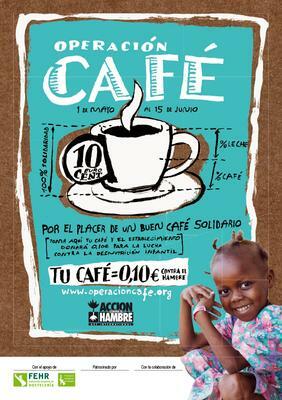 HAVE a "Solidarity Coffee" in BlueGourmet Restaurants: Aretusa, Carpaccio, Black & White, Chateau Mona Lisa at the front line of Puerto Banus and DONATE 0,10 euro to ACTION AGAINST HUNGER. Good initiative certainly and... Believe it or not! There are in Marbella more than a thousand families of which the children go to bed hungry and due to the long period of undernourishment are sick. Just as sick as the children in faraway countries.